If there’s one thing I’ll never quite understand about being an adult, it’s how everyone else seems to keep their house so dang clean. I try, hard, but there’s always something that’s a complete and total disaster. It could be the overflowing fridge, the tufts of dog fur gathering under the furniture, the peeling baseboards coated in dust or the stubbornly stinky garbage disposal. But of all those, I think the garbage disposal is by far the worst. Whether it sneaks up over a few days or it hits like a ton of bricks when we get home from vacation, I would do anything short of setting the house on fire to get rid of that smell. And it’s no easy feat, I’ll tell you that. 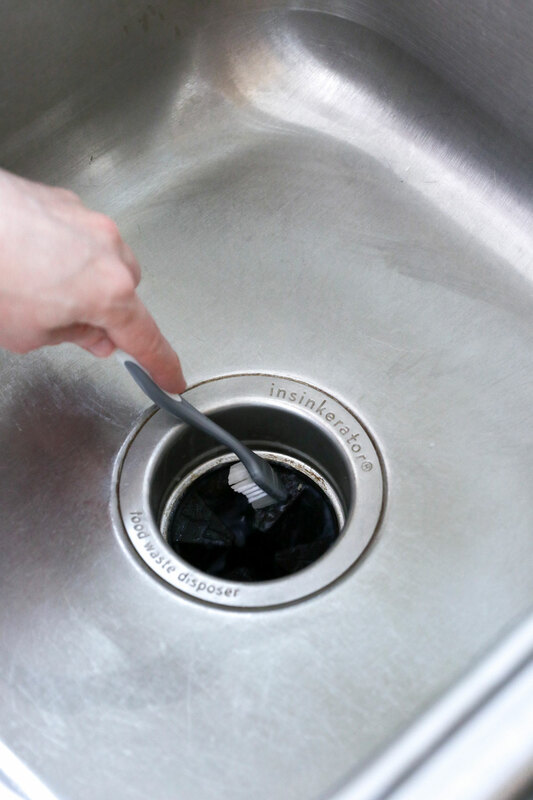 Here are 5 super simple tips for cleaning a garbage disposal and keeping it clean. Since their whole purpose is to break up food and flush it down the drain, garbage disposals are usually pretty good at cleaning themselves. But after a while, food particles and bacteria can start to build up on the blade, along the walls and on the underside of the baffle. Once this happens, the funky smells are sure to follow. A once a week (or once a month—no shame!) cleaning is all you need to keep it sparkly clean and odor-free. 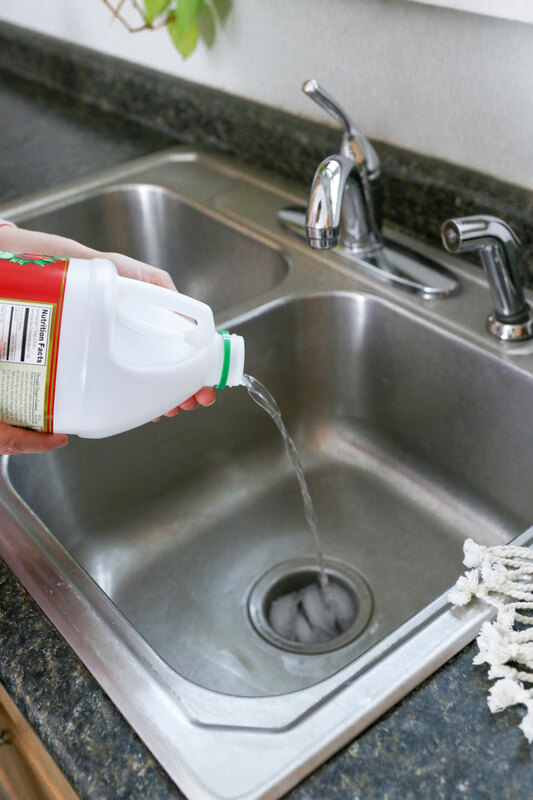 Your garbage disposal will only ever be as clean as your sink, so start by rinsing food particles down the drain and giving your entire sink a good scrub. The baffle is the plastic cover the separates your sink from the garbage disposal. Since the garbage disposal flings bit of food around as it grinds, the baffle can get dirty quickly. Use a toothbrush and a bit of dish soap to scrub the underside of the baffle and remove any lingering food particles. 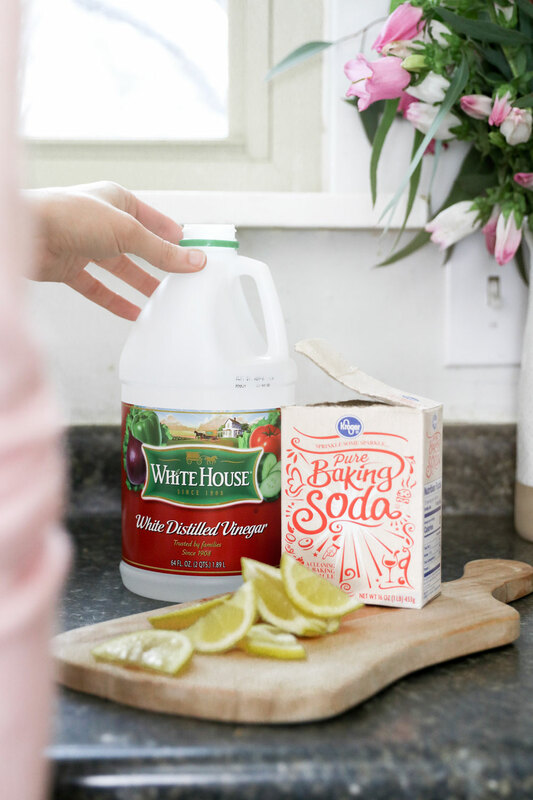 Ice and vinegar are great for cleaning the blade and walls of the garbage disposal. Fill the disposal with ice cubes, then pour a cup of vinegar down the drain. Turn on the disposal and let it run for a few seconds with the water turned on. The ice chips will scrape the inside of the grinding chamber and dislodge any buildup. 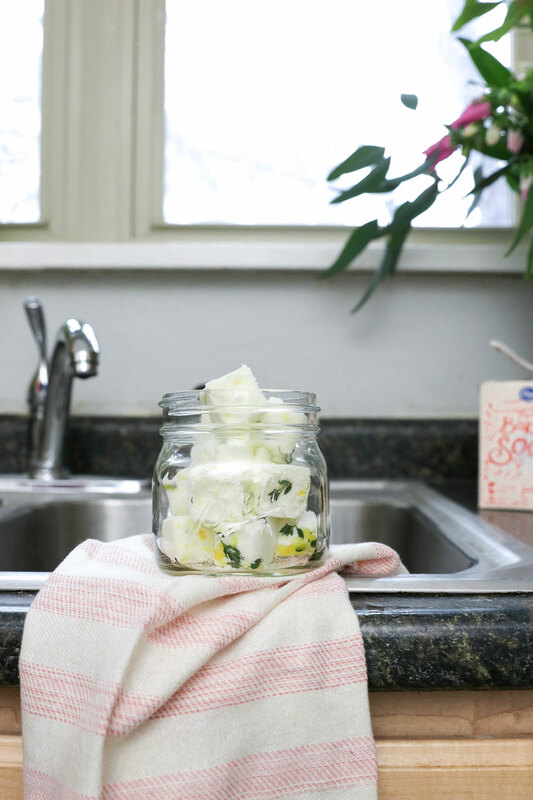 Not only do the peels give your disposal a fresh, clean scent, but the citrus oils help clean the disposal and break down stubborn grease stains. Just cut up 1 or 2 lemons into small pieces and grind them in the disposal with cool water. Last but not least, use drain cleaning tabs to tackle any lingering smells. 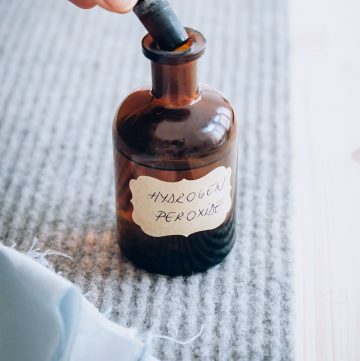 Just a mixture of baking soda, citrus essential oil and citric acid, these concentrated tabs use fizzing action to clean the hard to reach parts of the chamber and baffle. 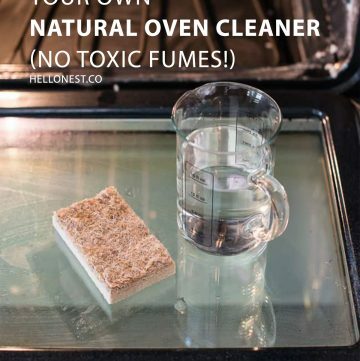 They work simply by tossing a couple down the drain and adding water, but you can also use white vinegar for extra deodorizing action. Mix baking soda, citric acid, lemon zest and rosemary in a small bowl. 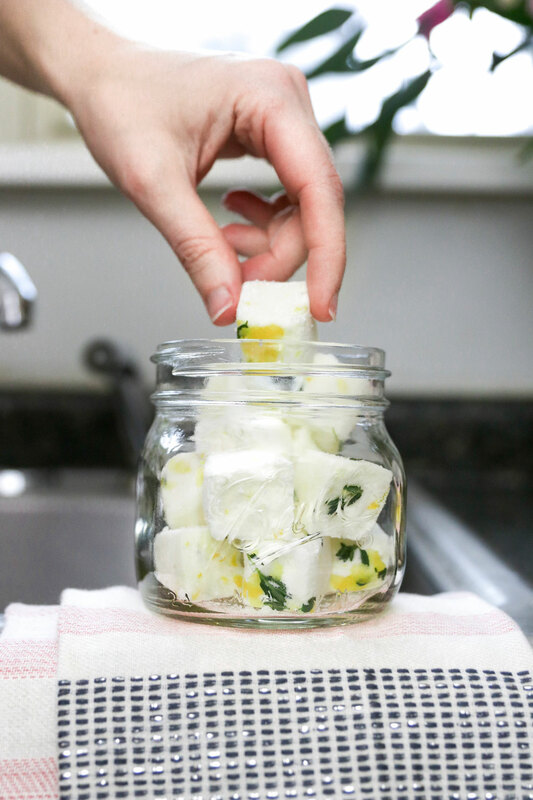 Add the essential oils and mix again using your hands, if needed, to break up chunks. Slowly add the water, mixing as you go, until the mixture sticks together like wet sand (it will fizz slightly but pouring slowly should minimize this). 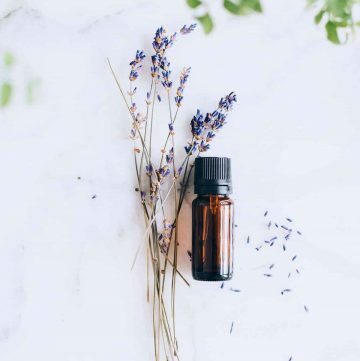 The more essential oils you use, the less water you will need. If you add too much water by mistake, just add more baking soda until you get the desired texture. 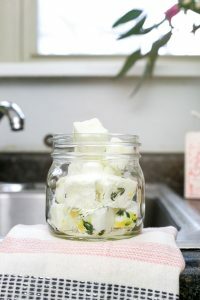 Scoop the mixture into a silicone mold or ice cube tray and press firmly. 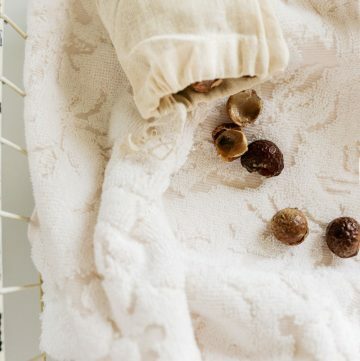 Allow to dry overnight until you can remove the tabs without them crumbling. This recipe makes approximately 12 – 16 tabs depending on the size of your mold. 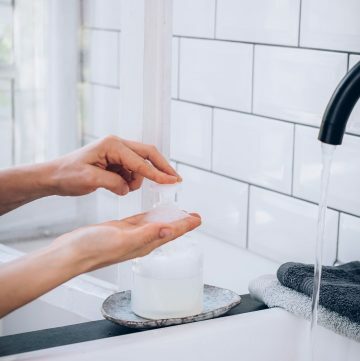 To use, place 2-3 disposal tabs down the drain and turn the faucet on in a thin, steady stream (for more fizz, use 1 cup white vinegar instead of water). Let the water run for about a minute. When the fizzing stops, flush the drain with hot water while running the garbage disposal.